Hydro-Quebec may consider raising its rates for energy-hogging cryptocurrency miners, the utility said Thursday as requests continue to pour in from virtual currency companies looking to establish themselves in the province. 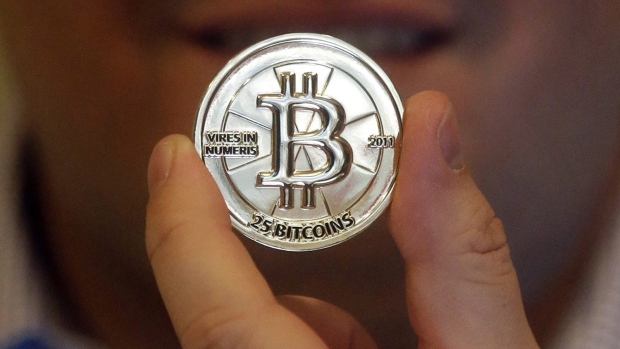 Spokesman Marc-Antoine Pouliot said more than 100 cryptocurrency companies have expressed interest in coming to Quebec to take advantage of the province's rock-bottom energy prices. "We've had such an important volume (of requests) that there are questions being asked on the tariff offered and the quantity of clients we'll be able to plug in," he said in a phone interview. Pouliot said a few Bitcoin mining operations have already been established, and Hydro-Quebec is analyzing dozens more requests. Access to cheap energy is crucial because cryptocurrency miners around the world are competing to solve the equations that feed into the blockchain, the digital record that supports the currency. The more computing power miners throw at the system, the better their chances of being rewarded with Bitcoin. Pouliot said Quebec is an attractive destination because it has the lowest rates in North America for large businesses, as well as cold weather, which helps to prevent the electronics from overheating. He said the high-consuming cryptocurrency operations could be "interesting" clients for Hydro-Quebec, which currently has an energy surplus. But that excess capacity could be threatened if the bulk of the requests materialize --which is far from a given at the moment, he admitted. Some of the proposed projects are as big as 100 megawatts, Pouliot said -- more than 20 times what it takes to power Montreal's Bell Centre. "One project like that isn't a problem, but now we're talking about hundreds," he said. He said Hydro-Quebec has brought in industry-specific rates before, but generally to give a discount, not a hike. A spokesperson for Natural Resources Minister Pierre Moreau confirmed the matter of raising rates is being discussed but said no final decision has been made. Catherine Poulin said the proposal is part of a larger reflection on how to manage rising demand and ensure the network's capacity isn't threatened. The co-founder of Bitfarms, one of Quebec's largest cryptocurrency mining companies, expressed hope that Moreau would consider the innovation and jobs the company brings to the province in his decision-making process. "We are building the computing power and electrical infrastructure that will power the blockchain with Quebec hydroelectric power," Pierre-Luc Quimper said in a statement. He said the company has created 80 jobs in the province since July 2017 and hopes to hire 300 more people by the end of the year. Quimper added that his team would be happy to meet with Moreau to further discuss their activities.